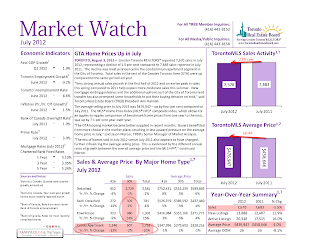 Compared to July 2011, GTA home resales in July decreased by 1.5%. 905-area recorded 4,725 transactions (vs 4,720 of 2011 July) while 416-area reduced from 3,094 to 2,693 (-13%). The average home sale price of July was $476,947 (+4% from $458,646 of last July). Condo resales reduced in both 416-area and 905-area. Year to year, amounted to 10% decrease. The growth occurred in 905-area, townhomes resales rose 24% with semi increased by 2%. 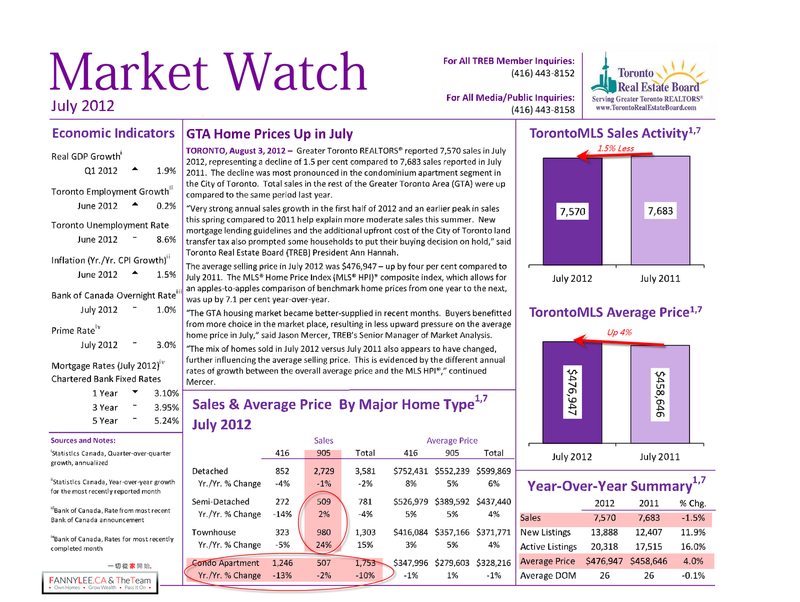 For the complete Market Watch report, visit TREB website.